The first skip has arrived…and been filled twice over! The renovation of the area to the side of the Old Vicarage has begun in readiness for the new outdoor learning area. We have a busy few months ahead of us and some of the children are almost as excited as I am! 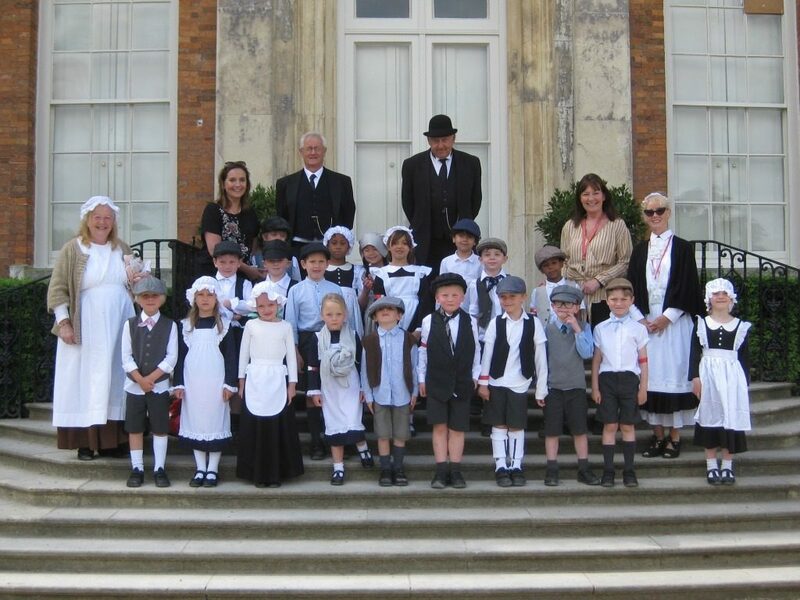 I spent a wonderful day with Year 1 at Beningbrough Hall this week. The children learnt how to polish cutlery and to wash their clothes. They’ve been briefed to help at home; let’s see if their training can be put into practice! It was lovely to spend time with the children and I very much look forward to watching them flourish as they progress through the school. Volunteers to help on the day! All items can be deposited at either reception and you can also leave your name with Rosalind or Linda if you wish to volunteer. The PTA is holding a reception after school at the beginning of next term to welcome families new to Red House. This event is open to all families and staff – a chance for our community to come together. Please ’hold the date’.